Here is a fun Valentine's Day Printable for your little ones. Kids love a good game of I SPY; just print and play! Shh! It's also a great way to sneak in counting and visual discrimination skills, too. But don't tell the kiddos that... it'll ruin the fun! Your preschooler, Kindgergartener, 1st or 2nd grader will enjoy playing this simple Valentine's Day game! My kiddos love playing a game of I SPY! It's a great way to keep kiddos busy in the car, or while waiting out and about, or just a fun way to practice counting skills and differentiating between objects! With these adorable clipart hearts, I created an Valentines inspired I SPY: Hearts Printable. Use it with your preschooler and have him/her write the numeral for each group of hearts, or use it with your older kiddos who have been learning tally marks! Provide your child with small manipulatives or Do A Dot markers to help keep track of the hearts he/she has counted. Which heart pattern did your child find the most of? How many more of X do I need to make 10? Use the printable for some one-on-one time, quiet time, to get something quick done around the house, or while waiting at a restaurant! Alike your classic I SPY game, this printable is an easy, no-prep activity to sneak in counting and visual scanning skills! Just print the I SPY Game and count! Count how many of each heart image you find and record it at the bottom of the printable. 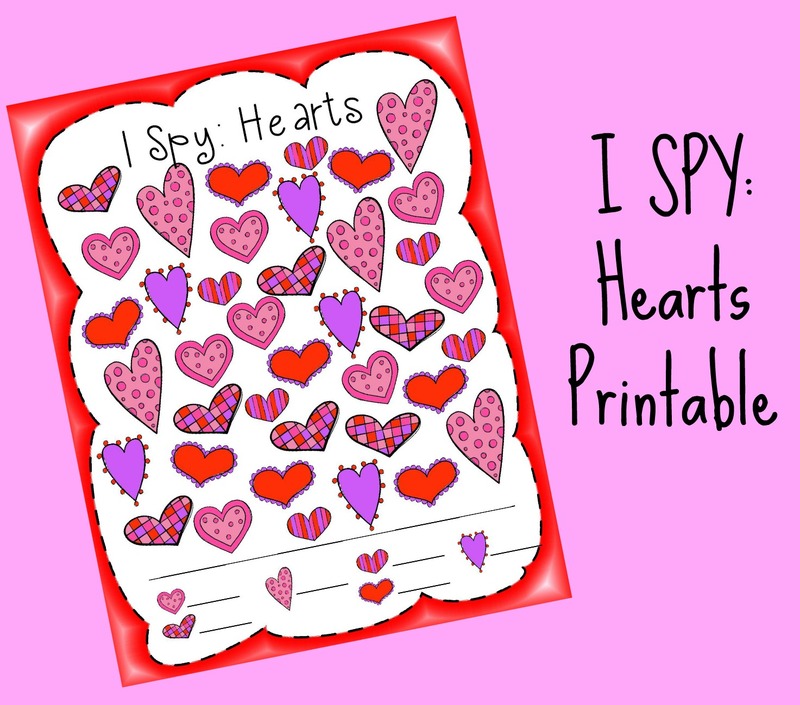 Enjoy this Hearts I SPY Printable this Valentine's Day! Take it with you on the go for an easy activity to keep kiddos occupied in car, waiting for appt., etc! 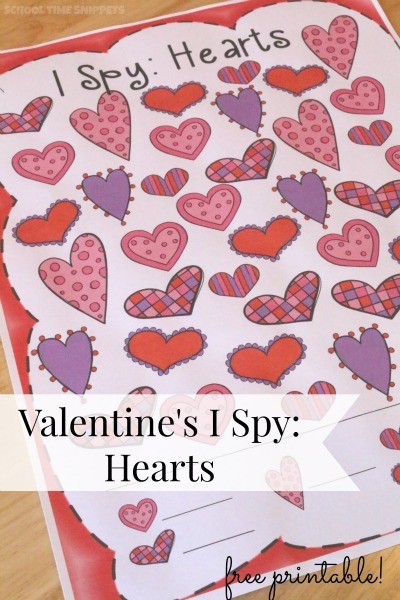 Download your I SPY: Hearts Valentine's Day Printable here!! do not alter, re-sell, distribute, or claim printable as your own.